Ok guys, it is time to get really, really excited. Launched in Tokyo last week and set to hit our shores next week is Comme des Garçons’ limited-edition capsule collection with 10 different designers, with each designer contributing something different to the collaboration. 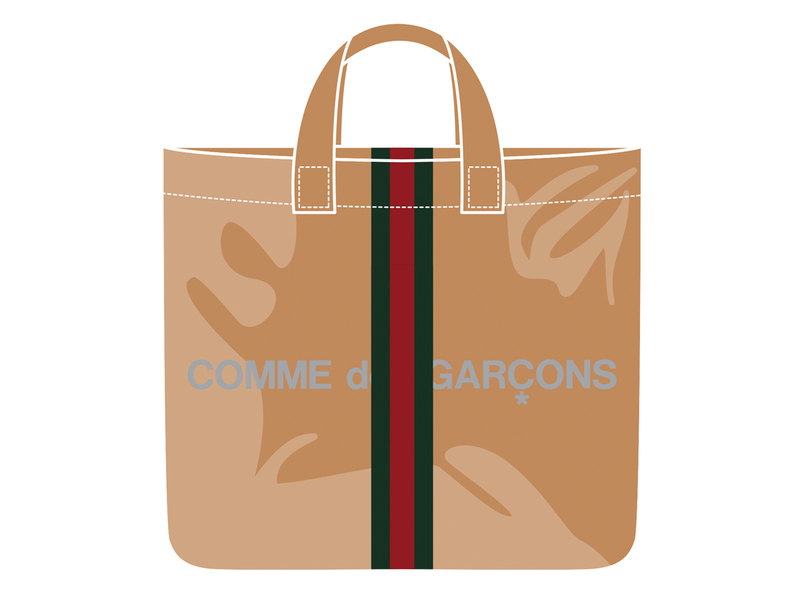 And the one that I’ve got my eye on (because, you know, I’m Bagaholicboy) is the Comme des Garçons X Gucci Tote. Simply put, take one part Comme des Garçons tote (you know, the one that’s basically paper wrapped in thick PVC) and combine that with Gucci’s much-loved green-red-green webbing and you’ve got a winner that should sell out the moment it hits the shelves. Other pieces to look out for? A Burberry scarf, along with 8 different tops from the likes of Craig Green, JPG, Marine Serre and Simone Rocha, just to name a few. When? The collection drops at Comme des Garçons Hilton Shopping Gallery and Dover Street Market Singapore on 6 December 2018 at 10.30 am and 11 am respectively. Also, if you intend to get more than one, know that Dover Street Market only allows one to purchase 1 piece per style for a total of 3 pieces, whilst over at Hilton, there are no limits and everything is first-come, first-serve. How much? For the tote, you can expect to pay SGD550, while the Burberry scarf is SGD500, and the tops will range from SGD190 to SGD530. In other words, all perfect as gifts for Christmas. Who wants one?